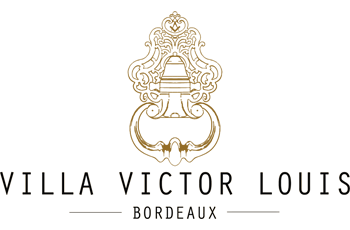 Villa Victor Louis is the embodiment of French splendour, this establishment combines luxury and refinement. Thanks to its elegant decoration, enchanting lounges and warm atmosphere, Villa Victor Louis is the ideal structure to organize your professional events. You will be able to enjoy an exceptional, rich and distinguished setting with period mouldings and furniture that will seduce and delight your employees. This upscale establishment located in Bordeaux offers you the opportunity to organise your professional events in one of the many spaces that can be dedicated to them. This can range from a relaxing and green garden to a functional and practical meeting room, modular and luxurious suites or comfortable and bright lounges. Our lounges and gardens are ideal for organizing your private events, they are spacious and offer an indoor space as well as an outdoor terrace. Whatever your event: Seminar, residential, showroom, cocktail, or incentive, the Villa Victor Louis team will do everything in its power to ensure that you and your employees have the most perfect experience possible. Located just a stone’s throw from the Bordeaux Golden Triangle, this charming guest room is easily accessible by public transport, as well as on foot or by bus. It is ideally located for those who want to discover Bordeaux: Saint-Seurin, Place Gambetta, Grand Theatre, Place des Quinconces are only a few blocks from the charming residence. Our establishment is at your disposal to create an event that reflects your image. If you are looking for a seminar in Bordeaux with an oenological tasting, a company cocktail, a residential to visit Bordeaux or an incentive to bring your teams closer together, we are able to help you organise this event.